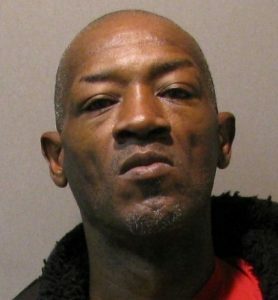 Paris Police arrested Derwin Louis Hardison, 54, of Paris, in the 1500-block of E. Price just before 9:30 am Monday. Officers charged him with theft of less than $2,500 with two or more previous convictions. Witness saw Hardison stealing meat items from a store in the 1300-block of Clarksville. Officers recovered the stolen items. Hardison also had an outstanding parole violation warrant. Officers enhanced the charge to a felony because of at least two prior theft convictions. He was later transferred to the Lamar County Jail. Paris Police responded to a theft of a vehicle call in the 2100-block of Lamar just before 11:30 am Monday. It was reported that the victim left his blue 2003 Chevrolet Silverado pickup running and unlocked on the parking lot due to having mechanical problems. It is believed that two females entered the vehicle and drove away last seen westbound on Lamar Ave. The incident is under investigation. A burglary of a residence was reported to Paris Police Monday afternoon at 1:00 in the 500-block of SE 3rd. The victim advised that someone climbed through a bedroom window to gain access and stole a small Sentry safe. The investigation continues. Paris Police responded to 84 calls for service and arrested three people Monday (Dec 3).